Words that the Donnelly brothers have lived by. And by the time it’s over, they may end up dying by them as well. Growing up in New York City, Irish through and through, they’re ready to rough it up at the drop of a hat. They’ll fight each other if they have to (often, it seems), but if you want to mess with one of them, well…. they are family, above all. And you? You’re not. We hear their story through the words of Joey Ice-Cream (played by Keith Nobbs), a small time (and rather inept) hustler who “always wanted brothers like that.” Joey’s nickname comes from the giant bucket of ice cream he helped the Donnellys steal as a kid, and then promptly dropped in the middle of the street… although Joey says that the nickname is “because when the heat’s on, I’m like ice.” (He’s not even close.) As we see repeatedly, even in the introduction of the show, Joey is not the most reliable narrator in the world. Despite this, we still see the episodes through him, as he tells the stories of the Donnelly brothers, both their current exploits and flashbacks of their growing up, and how those childhood experiences made them into the men they are becoming today. The events of those dubious narratives, both then and now, are emotional, dramatic, and at turns darkly funny and incredibly violent. The Donnellys grew up in one of the poor ethnic neighborhoods of New York City, and are now caught between the Italian mob that runs some of the streets, and the Irish mob who run the rest. And thanks to circumstances both of their own making and beyond their control, they walk the fine line of playing both sides and trying not to end up dead in the middle. 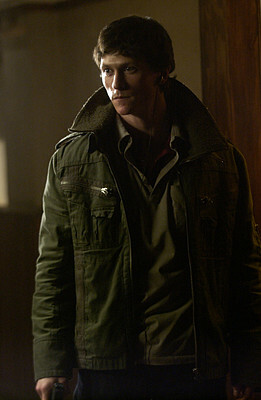 First, there’s Tommy (Jonathan Tucker). He’s supposedly the good one. The smart one. He’s going to art school, trying to get out of the neighborhood and make a better life, but still attracted to his childhood sweetheart Jenny (Olivia Wilde) who’s already treated as part of the family. There’s just one problem. Guilt over something in that childhood makes him the one who has to bail his ne’er-do-well brothers out of the scrapes they get into, and ultimately force him to become all of those things he’s wanting to leave behind. His biggest problem is eldest brother Jimmy (Thomas Guiry). Jimmy won the bar the boys use as their base, complete with a tax lien and rotting floors, and would likely fight you as look at you. Often drunk, now on drugs, and with a history of theft, he was dealt a crummy hand early in life (his leg having been permanently damaged by a hit-and-run driver). He has fought the world to make whatever he could of his existence in it, and damn the methods to do so. Jimmy also, unknowingly at the time, played a part in the death of his own father. More reason for his pain and anger. Kevin (Billy Lush) has, in the words of Joey Ice-Cream, “…thought of himself as a gambler. He always believed he was lucky. The fact that he’d never won a bet in his life somehow never dissuaded him of this notion.” In other words, smarts always took a back seat to playing the big odds. And so, when Kevin ends up in Dutch to a local bookie, the brothers try to help, in ways legal and illegal. And that’s where the action starts…. Did I mention action? 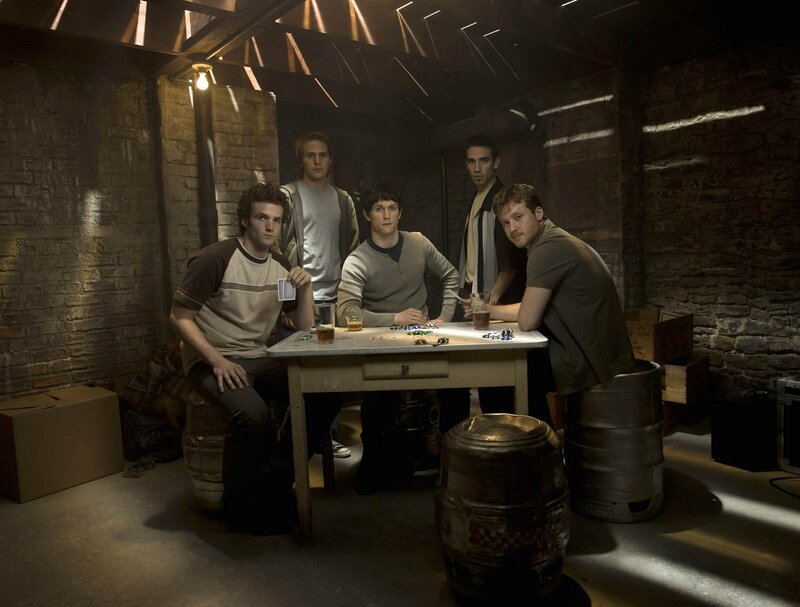 The brother who’s busy getting some action is baby brother Sean (Michael Stahl-David), the looker of the bunch and the one you didn’t leave your girlfriend alone with, or you didn’t have a girlfriend for long. Like Kevin, Sean’s not the brightest neon sign in the bar, since he’s always had looks and charm to make it through instead. Those attributes, however, have a habit of charming the wrong/attached/married girl along the way… or just placing him in the absolutely wrong place at the absolutely wrong time…. Choices. Legal or illegal choices, angry or compassionate choices, life or death choices. Dealing with what you want out of life, what life deals to you along the way, and the people and circumstances that help or hinder those choices in wonderful, terrible ways. The Black Donnellys was all about choices. The coming train wreck was certain. You didn’t know exactly how, or exactly when. But you knew, you KNEW, that out of the four brothers, at least one, and perhaps all of them, were bound to choose, or be forced to choose, very badly. And like a train wreck that you can see coming, you can’t tear your eyes away… even, or maybe especially, when there’s nothing you can do about it, no matter how hard you want to try to save them all. These are not only the choices of the Donnellys, but also of the creators and viewers as well. Bobby Moresco had seen that life. He’d seen the choices people had made in that environment. Did those memories really happen, or are they just his fabricated stories with a simple veneer of truth? It is the same choice the viewer has to make in deciding if Joey Ice-Cream is relating the stories honestly or not at any given moment. Are the Donnellys really that bad? Are they worse? Is there hope for redemption? Are they heroes, villains, or just caught in circumstance and trying to stay alive? When watching the show, you don’t get to just let it wash over you. You have to be involved, and you have to decide who you want to root for, who you hope falls in love, who should sacrifice themselves, and is the price someone pays for family worth the cost? The choices, and the answers, are always involving but never easy. In this coming-of-age story, set against the backdrop of the criminal world of good and bad and the grey in-between, there are never any guarantees. Just family, above all. Tommy and Jenny... and hoping for better. JONATHAN TUCKER (Tommy Donnelly) started appearing on screen at the age of 13, and has played in movies such as The Virgin Suicides, Hostage, and Pulse. He has also guested on a number of TV series, including 2 versions of Law and Order (SVU and CI), the wonderfully quirky Six Feet Under, and most recently on White Collar. THOMAS GUIRY (Jimmy Donnelly) started even younger, appearing in the movie The Sandlot at the age of 12. As an adult, he had roles in Black Hawk Down and Mystic River, and most recently was seen in the NBC series Kings. BILLY LUSH (Kevin Donnelly) was in the miniseries Generation Kill, and has many TV guest appearances as well, including, similarly to Jonathan Tucker, both L&O SVU and L&O CI, Six Feet Under, and CSI. The man could use mostly initials on his resume, and lots of television casting agents would understand. After MICHAEL STAHL-DAVID (Sean Donnelly) finished trying to run from various mobs, he ran from a monstrous “something” in the movie Cloverfield. Finally getting a “normal” role, he’s in the pilot for an ABC dramedy this coming fall called Generation Y.
OLIVIA WILDE (Jenny) had been in the teen drama The O.C. 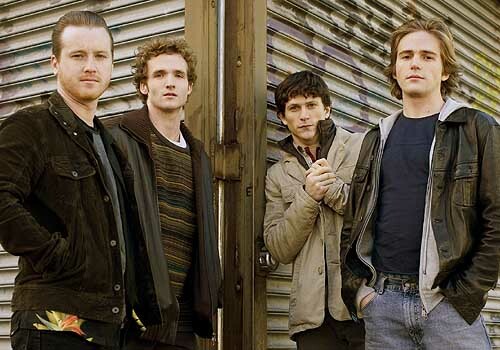 prior to The Black Donnellys, and went on to be the infamous Thirteen on the medical drama House. She will be in the TRON Legacy movie this winter, as well as the already announced sequel TRON Evolution and the upcoming comic book film Cowboys and Aliens. Assuming he’s telling the truth this time, KEITH NOBBS (Joey Ice-Cream) has been in a number of different TV shows, including In Plain Sight, Numb3rs, Fringe, and (here we go again) L&O SVU and L&O CI. Most recently he has appeared in six episodes of the HBO miniseries The Pacific. Creators PAUL HAGGIS and BOBBY MORESCO first worked together on the critically acclaimed TV show EZ Streets (another crime drama which someday hopefully will be covered by this blog), but are best known for winning the Oscar for co-authoring the movie Crash, as well as producing the TV series of the same name. They also produced/wrote the Best Picture winner Million Dollar Baby. Haggis is a TV veteran, having co-created Walker, Texas Ranger and Due South, while Moresco was a producer on Millennium, and even once acted on (wait for it….) the original Law and Order! The show is available on DVD, and iTunes and Amazon both have the individual episodes available for individual purchase and downloading. There are no extras on the DVD but the super-secret NBC site (which you can’t access from the main NBC site anymore) still has some commentary available. 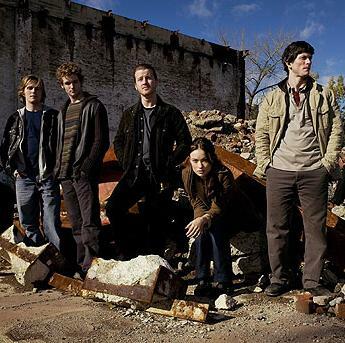 Only six episodes of the series actually aired by NBC in 2007, with the other seven being run weekly on the web after the show was canceled (one of the first shows to do so, and rather successfully for the time). Later that year, the entire series was shown on HDNet. One episode, titled “God is a Comedian”, wasn’t allowed to air on NBC for content reasons and the NBC synopsis only has one picture and the 2-line TV Guide tag-line. Thankfully, the entire episode is on the DVD. Some people won’t even watch certain new shows anymore, especially shows that are challenging, because they think “it’ll just get canceled”. Some shows are worth falling in love with anyway, even if your heart gets broken. Some shows are worth the price. Like The Black Donnellys. At least, that’s what Joey Ice-Cream told me, and he’d never lie. Actually aired on Friday at 8/7 Central: no, unless you started it at that time for the web only episodes! Odd trivia: The original name for the show was going to be The Truth According to Joey Ice-Cream. The Black Donnellys were, in real life, a family of Irish thieves that ultimately were brutally murdered in their adopted home in Ontario, Canada. NBC never really made clear what the series was truly about in the early promos, and the series title was supposed to simply evoke the idea of being both right and wrong, and heroes or victims depending on how you viewed the law. All the promotional effort really did was confuse the potential audience. Comments welcomed and encouraged, as always.